Mr. 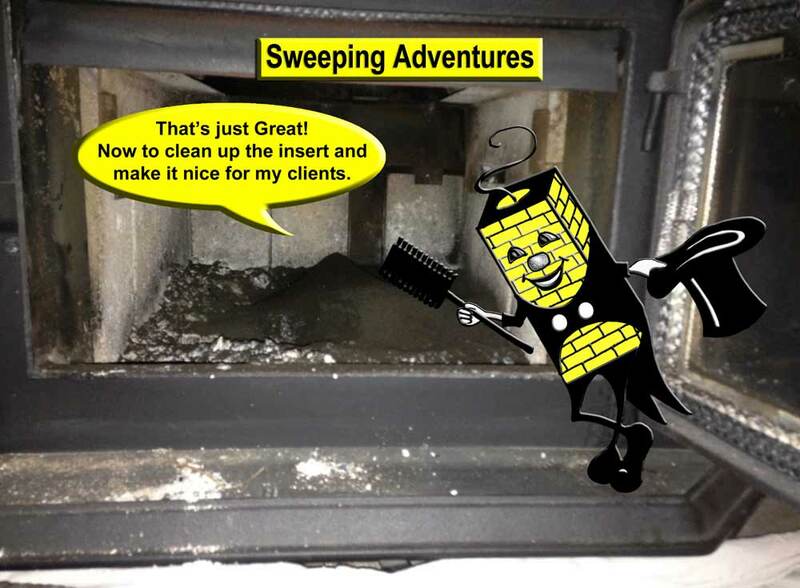 Happy Chimney provides chimney sweeping and cleaning services for all Wood, Oil and Gas appliances and systems. These include Open Fireplaces, Fireplace Inserts, Wood Stoves, Oil Furnaces, and Gas Water Heater and Furnace liners. 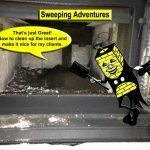 Most of these cleanings are for regular creosote removal in Wood Burning systems, but frequently a cleaning involves the removal of animal or bird nests and other blockages in both wood burning and gas systems. 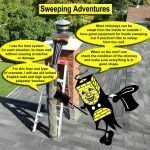 Each type of chimney and attached appliance or system has its own specific requirements and process for cleaning, but there are general elements of what we do and how we do it, that always apply. 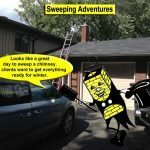 Please Call or Email today to book your Sweeping and Cleaning Appointment. We arrive in a timely fashion, greet you with a friendly smile, and have a look at the situation. 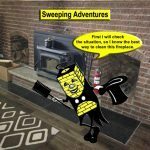 The floors are covered with canvas runners from the door to your fireplace or stove, and the area where we are working is covered with a large canvas drop cloth. We move or cover any furniture that could potentially get dirty or anything breakable. 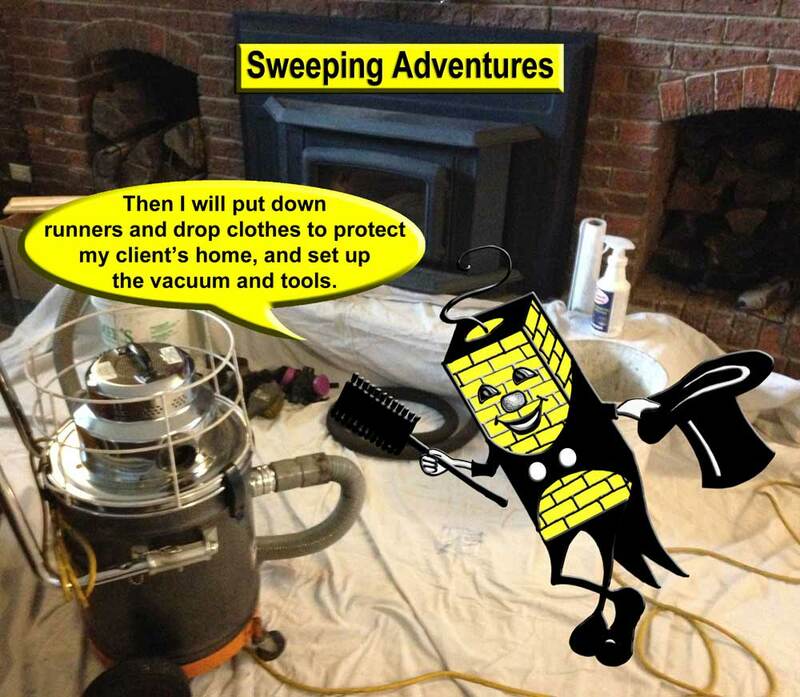 We use a heavy duty vacuum designed specifically for chimney sweeping. 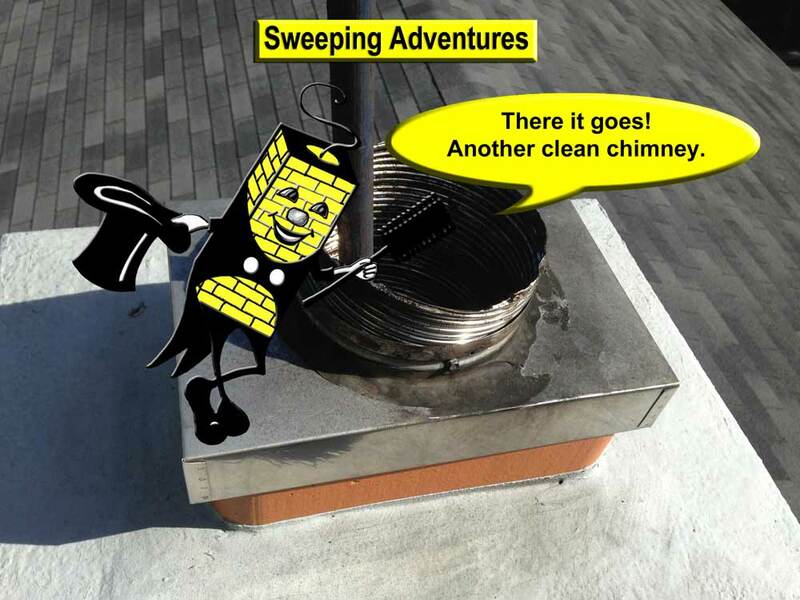 We prefer to sweep the chimney from the roof and do so if at all practical and/or possible. 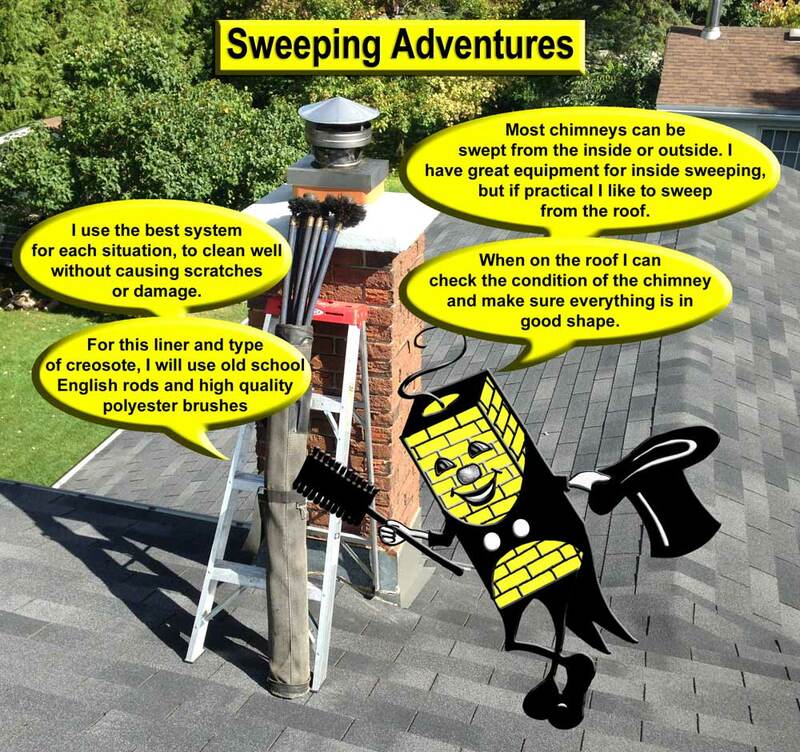 We have a wide variety of sweeping systems, rods and brushes, and use what is appropriate for each situation, depending on the type of chimney and creosote buildup or blockage. When on the roof, we take pictures, and evaluate any issues seen, and let you know the situation. 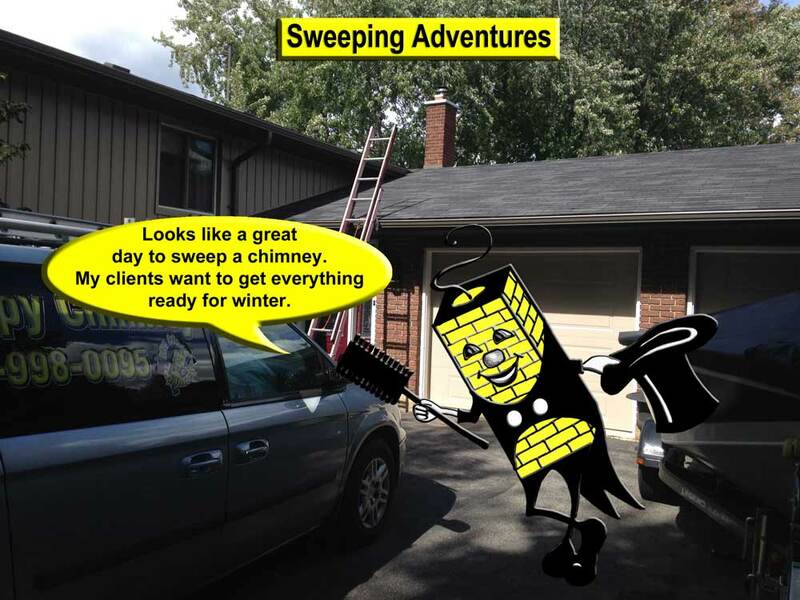 If it is necessary to sweep from the inside, we have purpose designed equipment for the job. 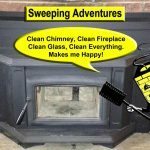 Inside your fireplace or stove we remove the damper, baffles and anything else necessary and removable, to do a thorough cleaning. 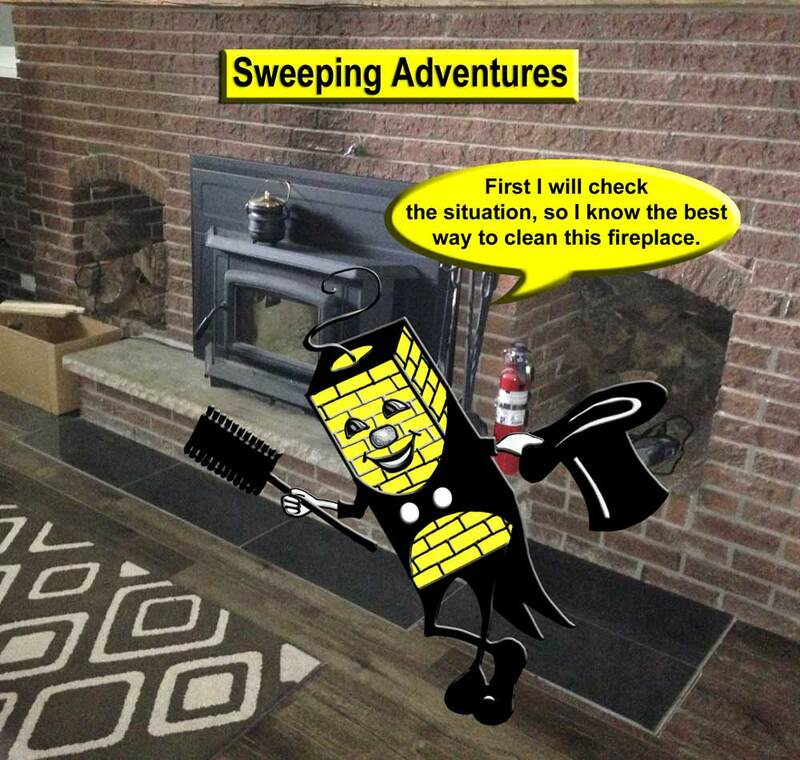 If a fireplace, the smoke chamber and smoke shelf are thoroughly brushed and vacuumed. 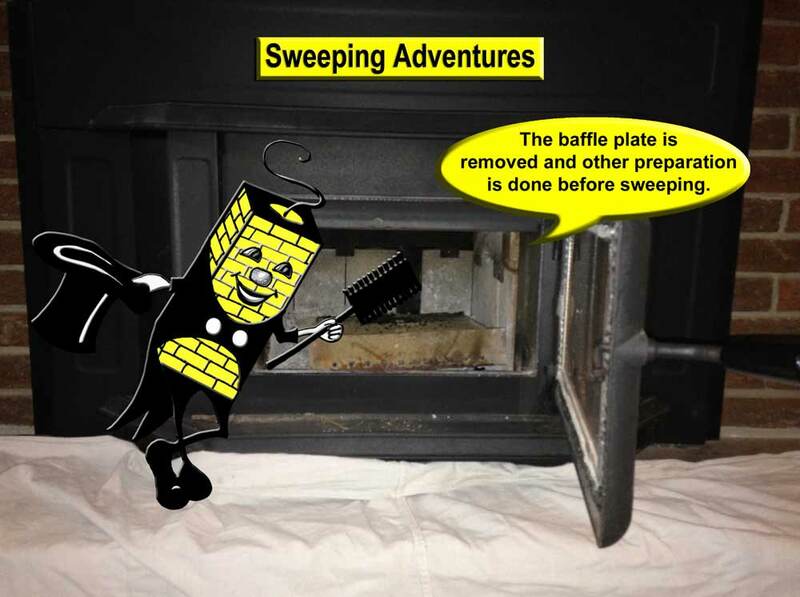 If a stove, the pipes are removed and thoroughly cleaned. 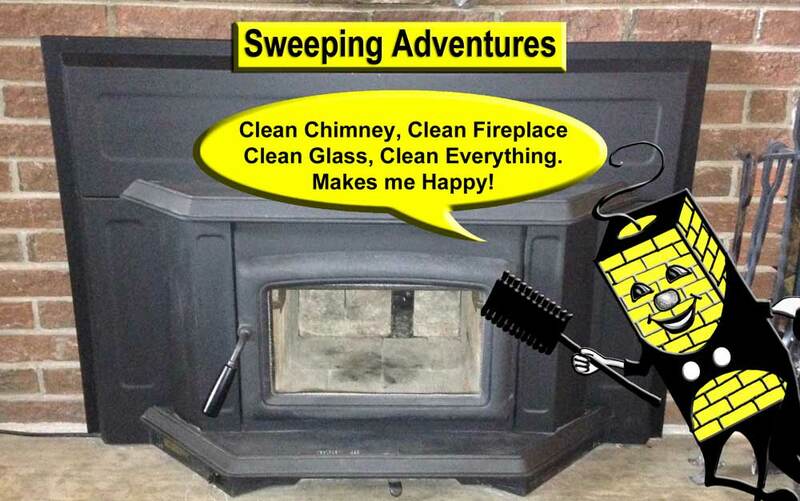 The inside of the fireplace or stove are well cleaned and vacuumed. 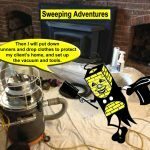 Any glass is cleaned and the appliance is wiped down. 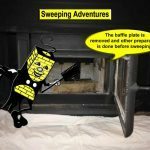 The area around the fireplace, stove or appliance is vacuumed and left clean. All ash and debris are removed from your home and taken with us. Throughout the visit we answer questions and discuss the situation as you need and wish. We leave with the same friendly smiles and appreciation as when we arrived. 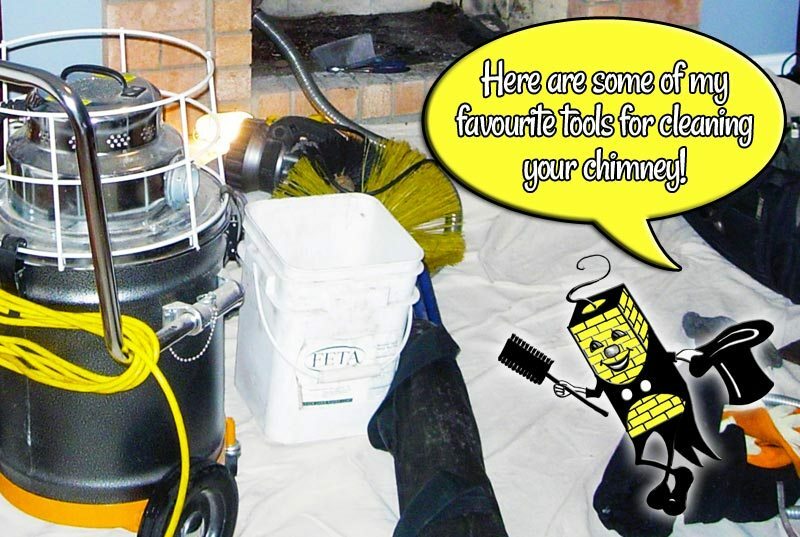 Are you ready to make your chimney happy again? Contact us today to book a visit from Mr. 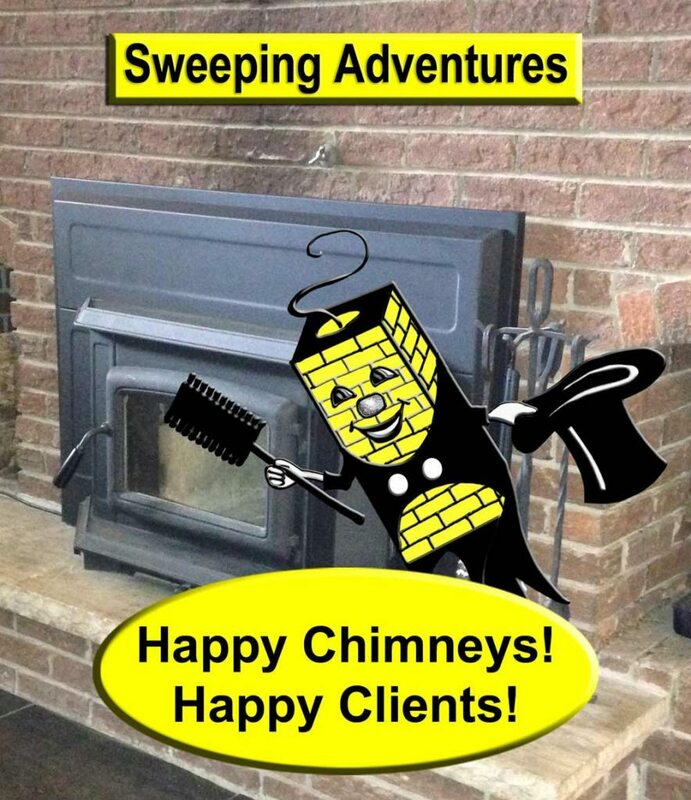 Happy Chimney! 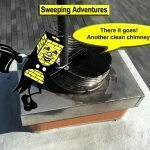 Want to learn more about how we clean specific types of chimneys and systems? Click on the links below to learn more! Click on the images below to see what Mr. 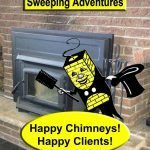 Happy does to clean your chimney!